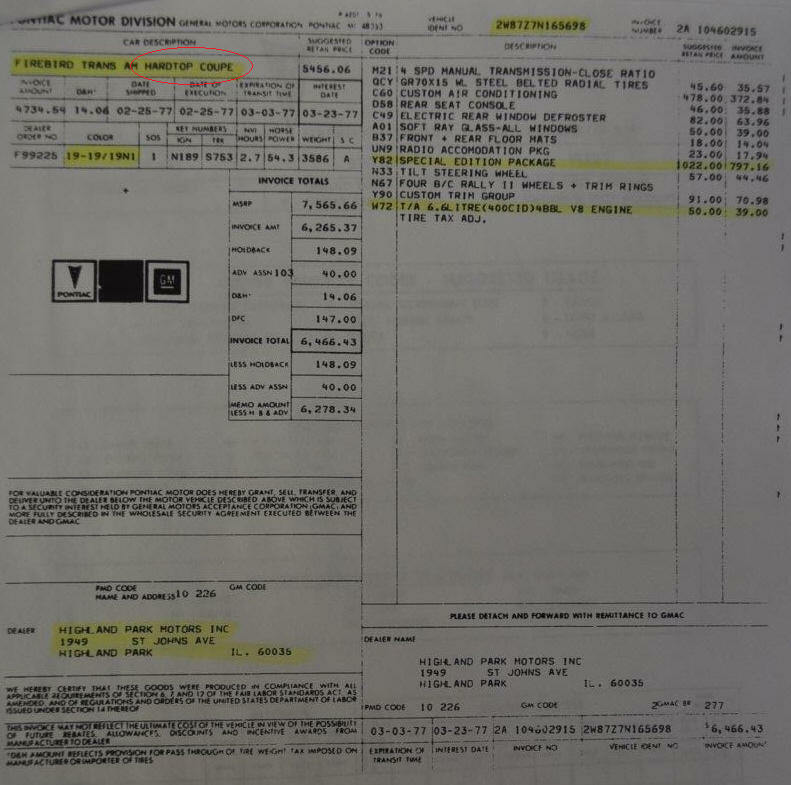 There is a lot of people out there trying to figure out if their car, or a car they are willing to buy is a Special Edition or not, this page will try to show you what and where to look to find out if you have in your hands a real SE. and gold spokes on the steering wheel. Most of them had Deluxe interior, but there are exceptions, we have seen many with standard interior. In 1977 the exterior emblems used were RED, not gold as many folks think (red arrow head on the nose and red birds on wheel caps emblems), the door emblems and the shifter emblem all were gold , they were all gold in 1978 and up, not in 1977. 1977 Special Editions came with 15 x 7 snowflake rims with gold painted inserts, 1976 came with gold Polycast honeycomb rims. All Y82's came with HURST t tops in 1976 and 1977 , in 1978 you would only find Hurst t tops on car produced before Feb-March 1978, after that they came with bigger t tops from "Fisher" but if you wanted a SE with non tops this was also possible, and the code for that would have been Y81code. 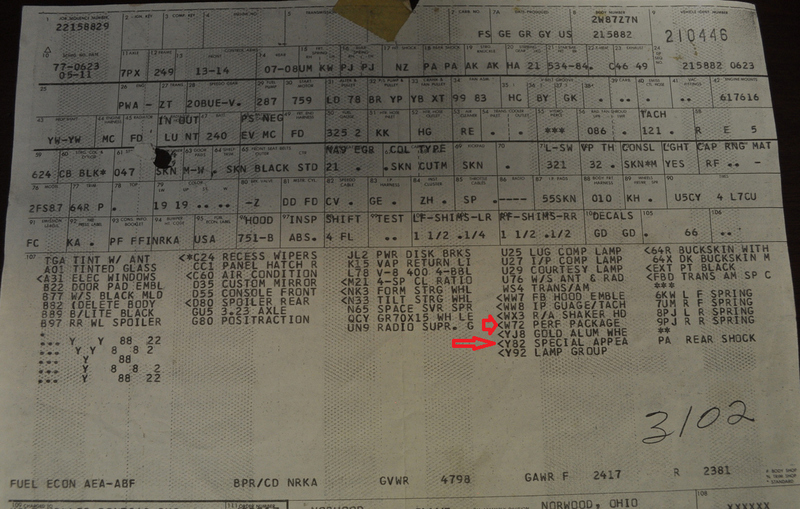 Please Note that all Trans Ams came out of the production line as a Hard top Coupe, the Y82's were sent to the Hurst installation center that was located next to the plant, a clarification note for all Trans Am lovers and enthusiast: all the window stickers on all trans ams will always read "hard top coupe" on left side column of window sticker regardless if has t tops or not, only the Y code will let you know if t tops were an option: Y82 implies t tops (by Hurst, CC1 code on build sheets) and Y81 means NO t tops. Same as Y82 but the t tops used for mid 78 trough 1981 were manufactured by Fisher and they were much bigger , some also came with WS6 (special suspension package) with factory snowflake rims but slightly wider (15 x8) . 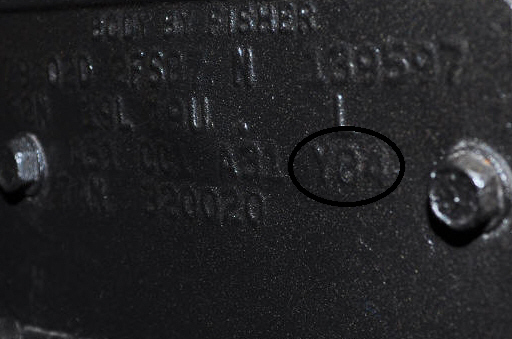 Is Also known that some cars had Y84 stamped in the cowl tag, so if you see this then you know for sure the car is the real deal, however, try to get the build sheet or window sticker to be 100% sure, I found that some cars did not have the stamp and the build sheet indicated that was indeed SE, so if you don't find this stamp get the papers mentioned above. 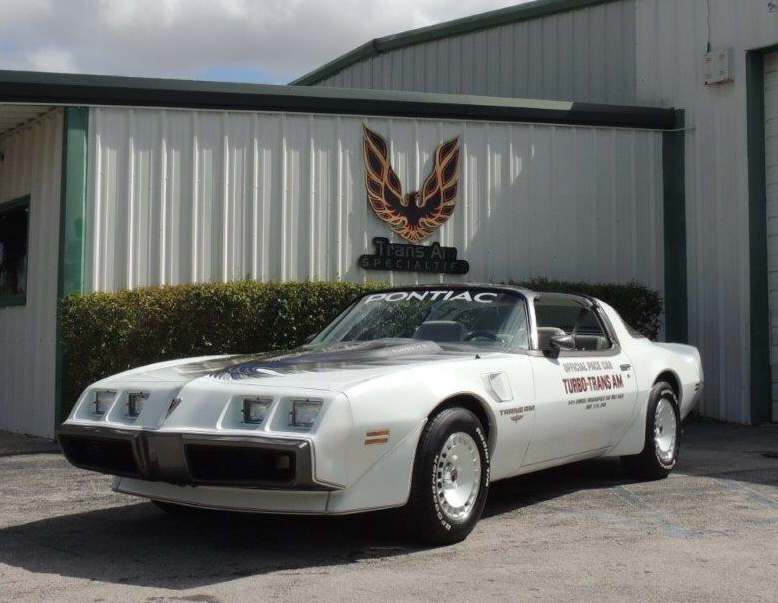 Y89's were very special Trans Ams, they were built to commemorate the first decade of existence of Trans Ams, that's why the are called 10th anniversary. They were all 2 tone grey and silver with red and black stripes and they all had T tops and Turbo rims, As per interior they all were 2 tone grey and silver seats. This was a very limited production, specially the 4 speed cars, which is known to be only 1816 produced out of the 7500 total sold. 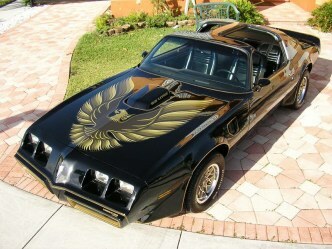 Y85's were very special Trans Ams, they were built to make tribute and to Pace the ongoing races of Daytona and Indianapolis, this beautiful Trans AMs were produced in limited amounts only 5,700 units in 1980 and 2,000 units in 1981, all of them were automatic 4,9 liter Turbocharged pretty collectible and loaded with options .